Dark, driven and intense, New Jersey’s J Hacha de Zola describes his latest song as “a dirge – a march – a funerary march, almost – an ostentatious obscene lamentation full of noise & fury – anxiety – fear – grit.” Indeed, “March of the Hollowmen” carries within it a fantastic power that is as carnival-like and playful as it is possessed and cacophonic. Welcome to the circus of life. which way to the gathering? 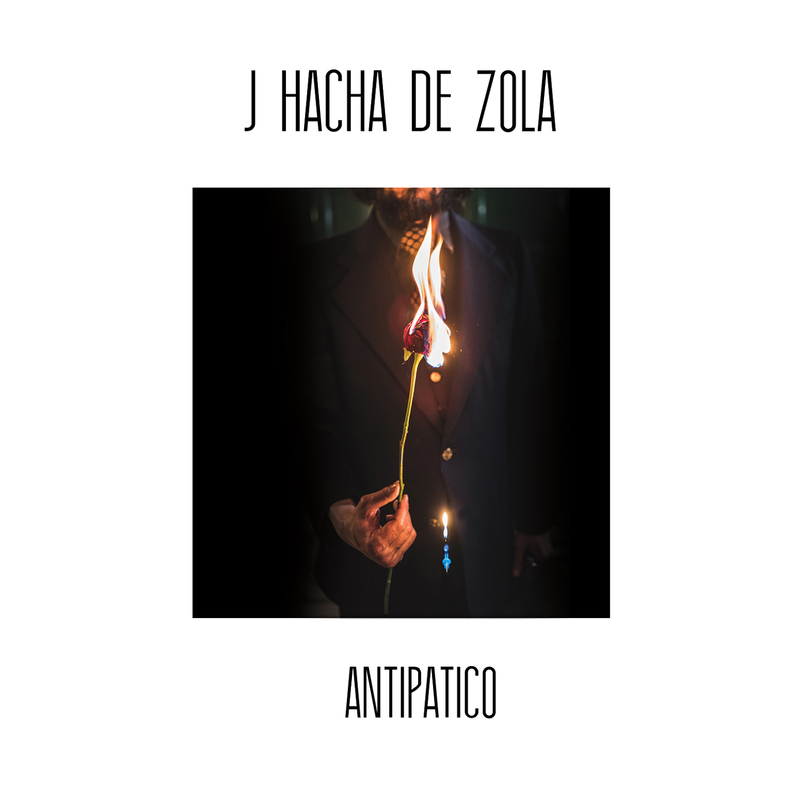 Atwood Magazine is proud to be premiering “March of the Hollowmen,” the latest single off J Hacha de Zola’s upcoming third album Antipacito, independently out 10/6/2017. Emerging within the past year through January 2016’s Escape from Fat Kat City and August 2016’s Picaro Obscuro, J Hacha de Zola’s ambition, prolific nature, and abounding talent becomes increasingly apparent as you digest his works. 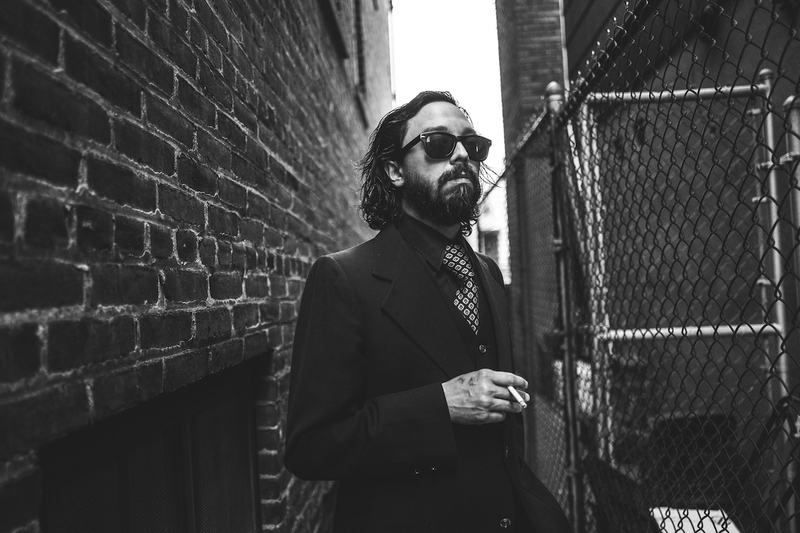 While influences include time’s many great rock and blues musicians, Hacha de Zola cites Lee Hazlewood and Leonard Cohen as major players on Antipacito, as well as Nick Cave, Perez Prado, and Herman Hesse. Yet such a diverse cast only hints at what one can truly expect: With “March of the Hollowmen” and previous singles “A Fanciful Invention” and “No Situation,” we uncover a vibrant, ascending artistry coming quickly into its own, unencumbered by tradition and unafraid to challenge norms. This is seen clearly in Hacha de Zola’s new song: Is it the beautiful ramblings of a madman, or the haunting poetry of an oracle? Perhaps both. Jangling guitars caterwaul down with a loose swagger as the deep-voiced Hacha de Zola bellows a raw rancor. His passion is overflowing, his energy at a constant high. He builds this intoxicating world that, while difficult to enter, is even harder to leave. j hacha de zola © Miguel Peralta Jr.
“March of the Hollowmen” culminates in an incredibly picturesque guitar solo – picturesque, in that it captures the moment only too well with vibrant wails and spine-tingling screams. J Hacha de Zola leaves us with a rush echoing in our ears and our bodies. We wonder: Is the end really is near, or is it just our imagination? Experience “March of the Hollowmen,” exclusively on Atwood Magazine! photo © Miguel Peralta Jr.